This beautiful Arabian Horse Head Ring a beautiful example of one of the most majestic breeds. 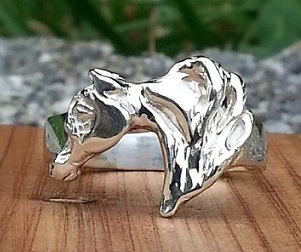 If you like Arabians you will really enjoy this ring. Add this to your horse jewelry collection today.